Whether you're installing carpeting, sewing new draperies, or purchasing seed for your lawn, calculating area is an important math skill. The most common unit of measurement when discussing area or the sizes of a place or location is "square feet." 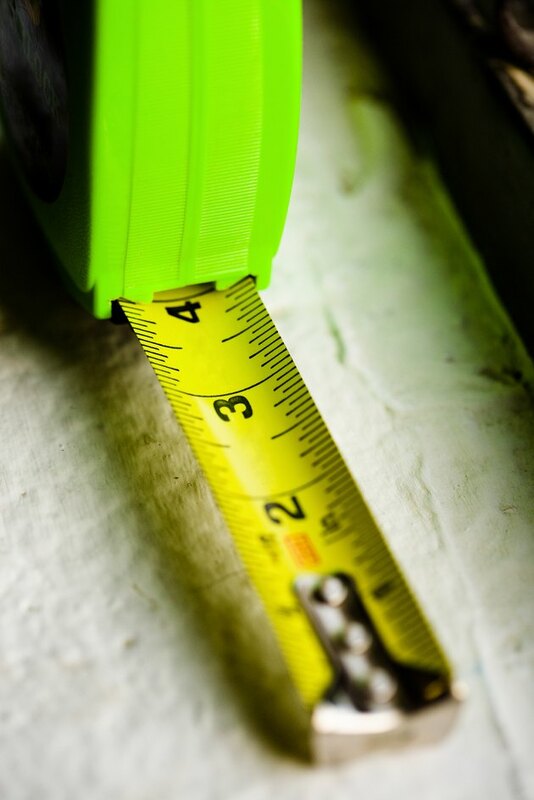 Accurate measurements are key in calculating square footage. Two people are helpful in measuring a large space. Measure two sides of a square or rectangular space, like a lawn or room. Convert mixed measurements, like 5 feet 6 inches into a decimals by dividing the number of extra inches by 12. For instance a measurement of 5 feet 6 inches, is converted to 5.5 feet. Multiply the width by the length, for instance a space that is 8 feet long by 5.5 feet wide has a square footage of 44 feet. Break irregular spaces down into several square or rectangular shapes. Calculate the square footage of each area and add them together to get your total square footage. Measure the diameter of a circular area -- straight across the circle from one side to the other. Note the measurement and convert to a decimal if necessary. Multiply that number by itself, squaring the number, multiply by pi -- 3.14 -- and divide by 4 to get its area. For instance a 9-foot circle would be 63.6 square feet. Measure the base and the height of a triangular space. Multiply the two figures and divide in half to get the square footage. For example, a triangular space that is 20 feet long and 10 feet tall at its apex is 100 square feet.